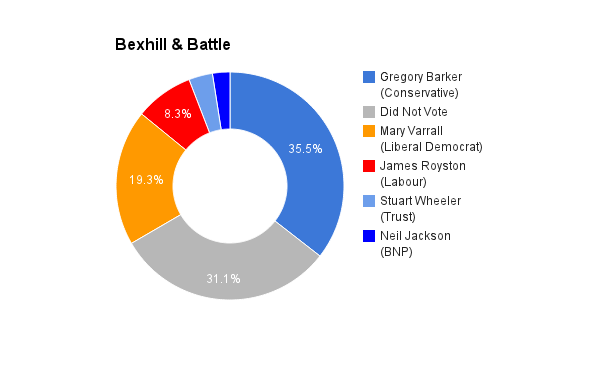 Bexhill & Battle is located in East Sussex in the south east of England. It was created in 1983 and has been held by the Conservative party ever since (but for a few months). The current member of parliament is the Conservative party’s Gregory Barker who has served since 2001.